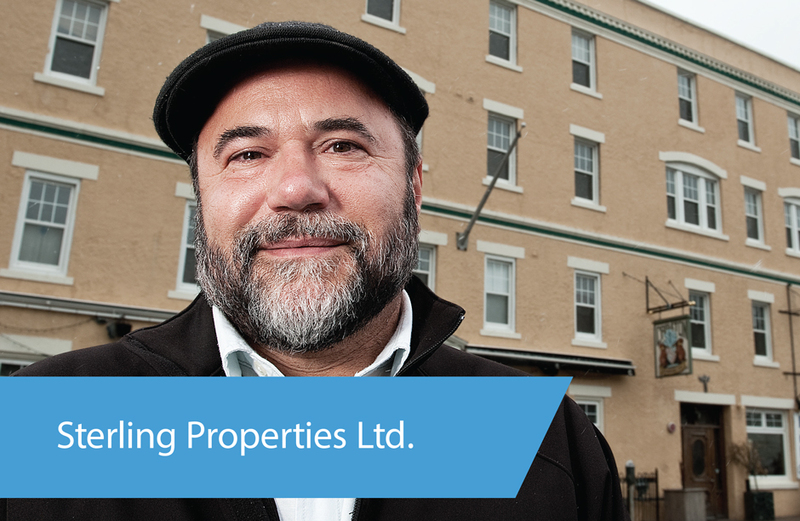 Home > Business > Tools & Resources > Smart Energy Business Ideas > Case Study: Sterling Properties Ltd.
Pino Pagnottella heads Sterling Properties Ltd., a family-owned business that rents more than 60 residential units and 17 commercial spaces in Halifax. With rising heating, water and electricity expenditures, Pagnottella was looking for ways to reduce overhead costs for the company and his tenants. In some of the rental units the company picks up the utility costs while in others, it’s the tenants who pay. With Efficiency Nova Scotia’s help inefficient lighting was upgraded to CFLs and LEDs and hot water tanks and pipes were insulated free of charge. Old refrigerators were replaced with ENERGY STAR® models. Electricity costs have been reduced for the company and its tenants, and longer tenancies are expected to result. Sterling Properties achieved energy savings of over 100,000 kWh, a saving of over $10,000 a year in electrical costs. ENERGY STAR® refrigerators are required to use 20 per cent less energy than models not labeled with the ENERGY STAR® logo. I estimate we have saved 10-15 per cent minimum on the electricity bills for the properties. We felt no increase. Nova Scotia Power has gone up a bit, but we didn’t feel that. In the quest for reliable, long-term tenants, Halifax landlord Pino Pagnottella, believes Efficiency Nova Scotia has given him a helping hand. “I can’t say enough. I’m very happy with the service. The program is unbeatable,” he says. Pagnottella, and his family own Sterling Properties Ltd., which has five multi-residential properties on Dresden Row, another on Shirley Street as well as the landmark Carleton House on Argyle Street. Together they account for more than 60 residential units and 17 commercial spaces in the city. All told, he has completed nearly 1,500 conversions to compact fluorescent lamps and LED exit lights, replaced 34 fridges with ENERGY STAR® models, and wrapped insulation around 14 hot water tanks. Efficiency Nova Scotia allowed Pagnottella to save a little money on his investment in more energy efficient appliances too. “With the refrigerators they gave you back $200 for each unit,” he says. As a result, Pagnottella estimates he has saved “10-15 per cent minimum” on the electricity bills for his properties. He first learned about Efficiency Nova Scotia in the newspaper and followed up with a call to the agency last year. Now he plans to call in Efficiency Nova Scotia to see what they can do for his commercial tenants – Carleton Music Bar and Grill, Pipa Restaurant and Bar and the Press Gang – at the street level of his Carleton House property. He recognizes if he can help keep their overhead down, it will be easier for them to stay in business at their present location. Other landlords have shown an interest in his Efficiency Nova Scotia experience. A family business, Sterling Properties Ltd. involves Pagnottella, his wife Toni, their son, Giovanni and daughter, Alessandra. Their real estate holdings require continuous maintenance and repairs but the family also strives to make improvements. “I have to get the electricity bills down,” says Pagnottella. With that in mind, he’s now looking to Efficiency Nova Scotia for some potential help with air conditioning for his tenants.